In our DiA meetings and in lots of other work we do, we are often exploring the challenge of employee engagement. We’ve shared blogs on this before (click here to see previous posts), and are strong supporters of the work of Marshall Goldsmith who encourages all employees to ask themselves 6 questions to help drive their own engagement at work. Yet, we see that employee engagement has two sides – the role of the individual in their own engagement and the organisation focusing on strategies that help make their organisation ‘irresistible’! We recently came across this excellent video by Blessing White sharing their view on this topic – called the X-model of engagement. You can view it by clicking here. This video explains the intersection of organisational and individual goals in the engagement equation. Each entity is wanting something different. ‘Organisations are wanting maximum contribution and individuals are wanting maximum satisfaction’. When these intersect, there is likely to be ‘full engagement’ : a ‘sustainable level of high performance that benefits both parties’. What do we see in reality? What we see in reality is a wide distribution in terms of satisfaction and contribution. And it begs the question – Where should you focus your attention when you are a manager of others? Do you leave the fully engaged alone – letting them get on with it? 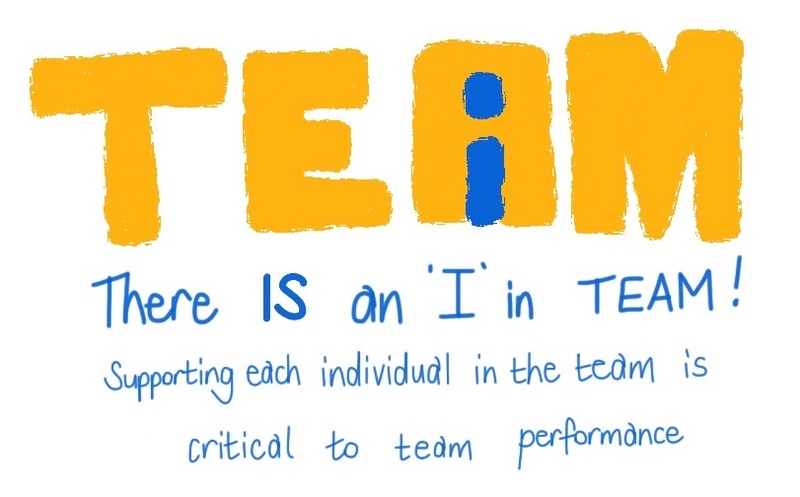 This thinking debunks the common phrase – there is no I in TEAM! Each manager needs to be pay attention to all of them! To each individual. But perhaps not in equal measure or with same level of priority? To see further information on this, and other videos by Blessing White, click here.